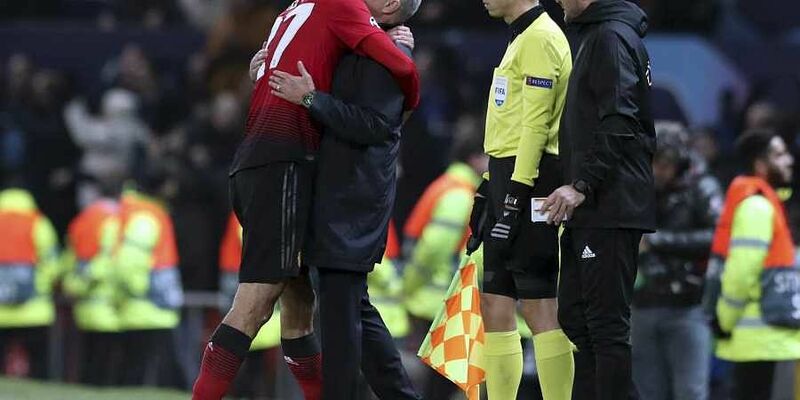 When the Belgian scored at the Old Trafford, Mourinho let out a guttural roar as he picked up a basket of water bottles and threw them forcefully to the ground in his technical area. MANCHESTER: Marouane Fellaini scored an injury-time winner to send Manchester United into the knockout stage of the Champions League — and prompt a bizarre touchline celebration from manager Jose Mourinho. Without Fellaini's goal, United would have faced a tricky trip to Valencia on the final match day in a bid to seal qualification. "For some of my lovers," he said, "I just want to say for the ones that like statistics: 14 seasons in the Champions League, 14 times qualify through the group phases. "The season I didn't play Champions League, I won the Europa League"
Indeed, United needed a superb reflex save from goalkeeper David De Gea, who clawed away Ulisses Garcia's deflected shot, to keep the home side level heading into the final 20 minutes. "It looks a phenomenal save," Mourinho said, "a save the best goalkeeper in the world does, and gives his team the possibility to win the match." Young Boys was dangerous on the counterattack and really took the game to United in the second half, with Garcia's chance coming amid its best spell of the game.